Welcome back to the Coleman House! Let me introduce you to Corra and Christopher. 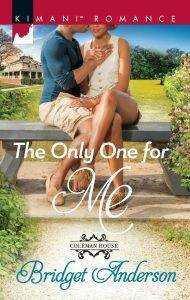 The Only One For Me is book two in the Coleman House series. If you’ll remember the series idea came to me during a drive through Kentucky. I saw this massive home that reminded me of Tara from Gone with the Wind, and my mind went to work. Weeks later, the series began taking shape. Everything in Corra Coleman’s world is looking up since she agreed to run the gift shop at her family’s antebellum B and B. The job offers a fresh start after her unhappy marriage-and a tantalizing temptation in the form of tech millionaire Christopher Williams. Her brother’s high-school buddy has come home to their small Kentucky town and is now pursuing her with a passion she’s never known, but definitely reciprocates. Though he grew up poor, Chris has realized his childhood ambition of becoming one of Danville’s wealthiest sons. As he restores the town’s oldest mansion, he already knows who he wants to share it with. Corra is all grown up-gorgeous, warmhearted and no longer off-limits. 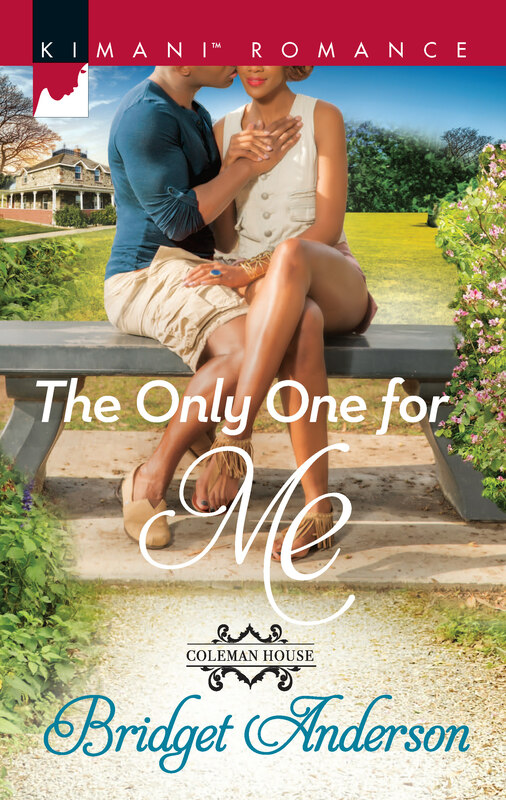 But with her newly returned ex trying to win her back, can Chris show her the way love’s truly supposed to be? Subscribe to my newsletter for future updates. I promise not to fill your mailbox up every time I think of something to say. I also enjoy talking to readers via social media. Go ahead and follow me on Twitter, Facebook, or Goodreads by clicking the corresponding icons below. Looking forward to chatting with you.